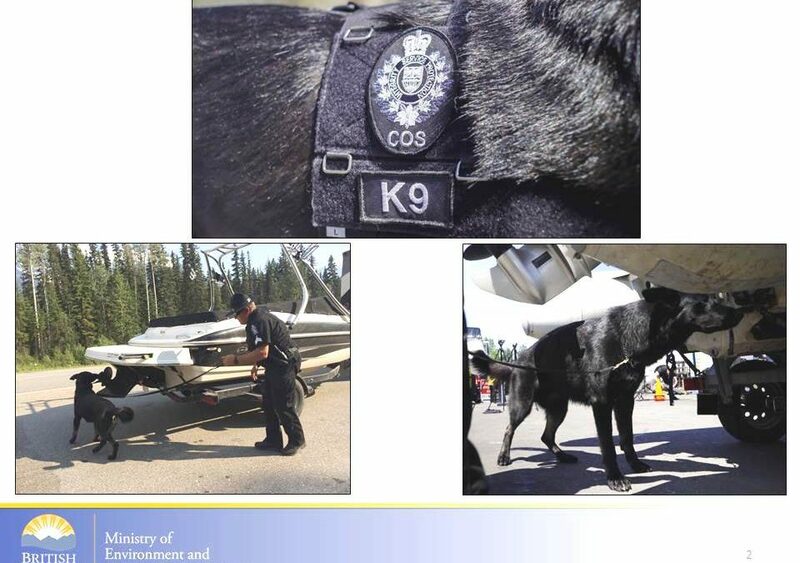 In 2017, a German Shepard was trained in invasive mussel detection as well as several other areas of enforcement including: evidence recovery, firearms, human scent detection, and illegal trade of bear parts? AND, for the bonus round. What was this dog’s name? Kilo and his Sergeant handler toured inspection stations throughout 2018.